Acclaimed American actor, producer and Academy Award Nominee. 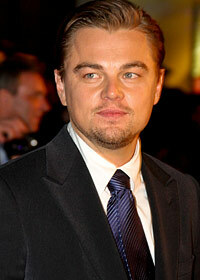 His most famous films include Titanic, Catch Me If You Can, Shutter Island, The Departed and Inception. Frank Abagnale:"Gentlemen, what seems to be the problem?" Doctor Ashland:"Bicycle accident. Fractured tibia about five inches below the patella." Frank Abagnale:"Doctor Harris, do you concur?" Doctor Harris:"Concur with what sir?" Frank Abagnale:"With what Doctor Ashland just said, do you concur?" Doctor Harris:"Uh, well it was a bicycle accident. The boy told us." Doctor Ashland:"I think we should take an X ray then stitch him up and put him in a walking cast." Frank Abagnale:"That's very good, Dr. Ashland. Very good. Well, you don't seem to have much need for me. Carry on." Doctor Harris:"I blew it, didn't I! Why didn't I concur?!" Frank Abagnale:"This is a photograph of the defendant's signature on a canceled check. Now, here is an enlargement of that same signature which matches the signature on the letters that he wrote to Mrs. Simon which discuss the possibility of defrauding the great State of Louisiana. Your honor, ladies and gentlemen of the jury, this is irrefutable evidence that the defendant is, in fact, lying." Judge:"Mr. Conners, this is a preliminary hearing. There is no defendant. There is no jury. It's just me. Son, what in the hell is wrong with you?!" Frank Abagnale:"Tough luck Carl. Five minutes earlier you would've landed yourself a pretty good collar." Carl Hanratty:"It's all right. Ten seconds later and you'd have been shot." Frank Abagnale Sr:"You know why the Yankees always win Frank?" Frank Abagnale:"Because they have Mickey Mantle?" Frank Abagnale Sr:"No, it's because the other teams can't stop staring at those damn pinstripes." Ariadne:"Why are they all looking at me?" Cobb:"Because my subconscious feels that someone else is creating this world. The more you change things, the quicker the projections start to converge on you." Cobb:"They sense the foreign nature of the dreamer. They attack like white blood cells fighting an infection." Ariadne:"They're going to attack us?" Cobb:"That price on my head, was that dead or alive?" Eames:"Don't remember. See if he starts shooting." Cobb:"Downwards is the only way forwards." Cobb:"I have a test for you." Ariadne:"You're not going to tell me anything about this first?" Cobb:"Before I describe the job I have to know you can do it." Cobb:"It's not, strictly speaking, legal." Cobb:"I can't imagine you with all your complexity, all you perfection, all your imperfection. Look at you. You are just a shade, your just a shade of my real wife. You're the best I can do, but I'm sorry, you're just not good enough." Cobb:"I know this bridge. This place is real, isn't it?" Ariadne:"Yeah, I cross it everyday to get to the college." Cobb:"Never recreate places from your memory. Always imagine new places." Ariadne:"Well you gotta draw it from stuff you know, right?" Cobb:"Only use details. A street lamp or a phone booth. Never entire areas." Cobb:"Because building a dream from your memory is the easiest way to lose your grasp on what's real, and what is a dream." Ariadne:"Is that what happened to you?" Cobb:"Well, dreams, they feel real while we're in them, right? It's only when we wake up that we realize something was actually strange." Ariadne:"Mind telling your subconscious to take it easy?" Cobb:"It's my subconscious, remember I can't control it."